Why the Posts Here are Dwindling: Blame My Family! I haven't been posting much here because I've been working on a huge and chaotic family history project. 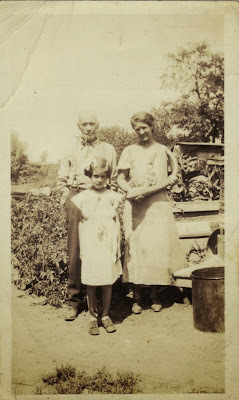 You can see the beginning of the results on my family history blog, Remember. If you've ever worked on your family's history, you'll know that it's hard to figure out where to start, especially if you are the holder of your family's documents and photos. I have piles of files of information, some inherited from my parents and some containing my own research from the last time I worked on the project in 1999. It's wonderful stuff--Birth/marriage/death certificates, probate records, and census sheets; and my favorites: Photos, interviews, and stories. Assume each pair had three children, who in turn had three children, who in turn had three children. If we roll the clock forward, after five generations you appear. If you do the math, you will find this will produce 365 people down to your generation. But, wait a minute; you have 16 pairs of great-great-great-grandparents. This means your extended family tree has 16 x 365 = 5,840 potential people in it! 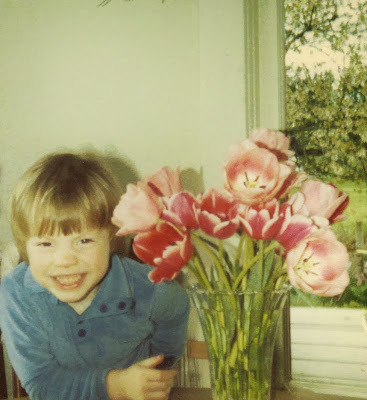 Of course, my mother's family never stopped at having a mere three children--that was for sissies. Her parents had 13 children, her dad was one of 13, and her oldest sister had 12 kids! The sheer numbers are overwhelming. I don't just have my mother's family (England, U.S., Canada) to document; there is my father's family (origins very mysterious), my husband's parents' families (Italy, Germany), and my son's family (The Netherlands). Add in the fact that our own is a blended family (his, mine, and ours) and the complications are endless. So, how did I find a way to start telling the family story? I want to share the process, the pitfalls, and the shocking surprises with you in the next few posts here on The Zees. 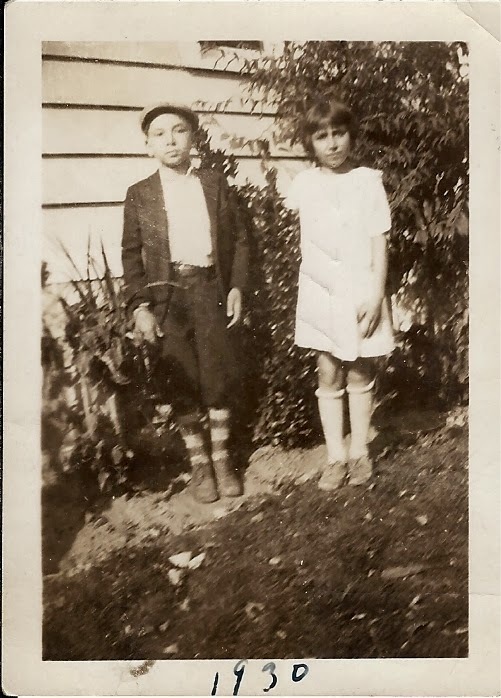 In the meantime, if you look at nothing else on the Remember blog, I hope that you will read the story Mary and Amalio Talk About Life in an Italian Town in the 1920s, because this kind of record is why I wanted to make a family history blog in the first place. Ever wonder what it's really like in New Mexico? This song, written and recorded by the group Richmond, and the accompanying video from the New Mexico Tourism Department, might give you an idea. Just don't all come rushing on down here; we like our big, empty spaces! 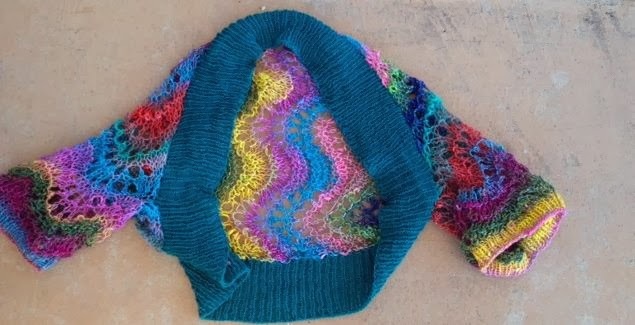 I've been making a blog for my knitting group over much of the past year. It's a good place for our group to keep a record of the projects we've done and the recipes and patterns we've shared. It's also a way to keep in touch with the knitters who travel. You can see it at Sit, Stitch, Share, Snack. Because I've been busy documenting everything going on around me, I suddenly realized that I hadn't been getting a record of my own projects. 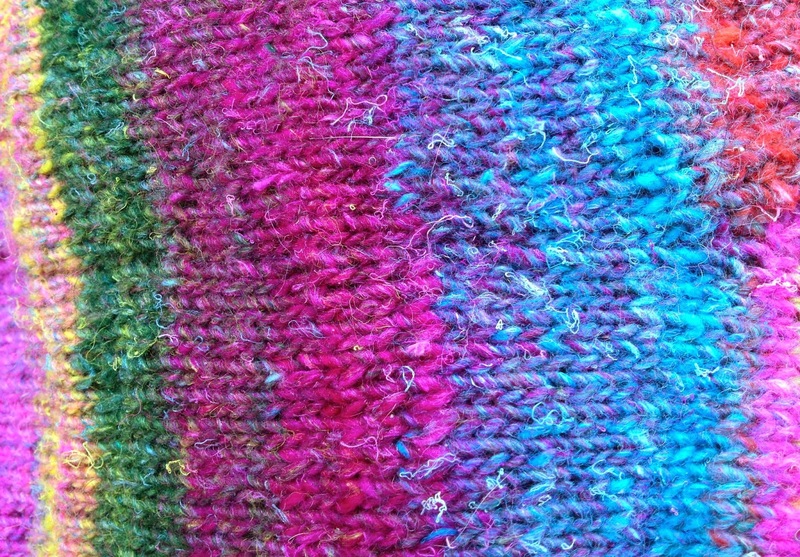 Since I was taking photos for the knitting blog today anyway, I thought I'd share the results with you here. 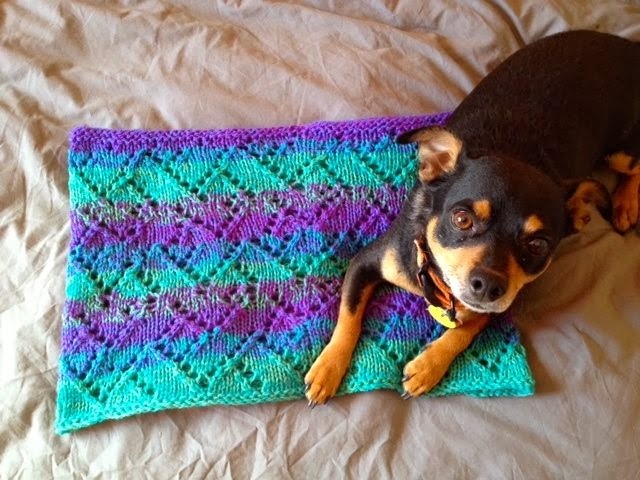 Heritage Trellis Lace Cowl; Petey wouldn't get off! The pattern is available online for free from Cascade Yarns. 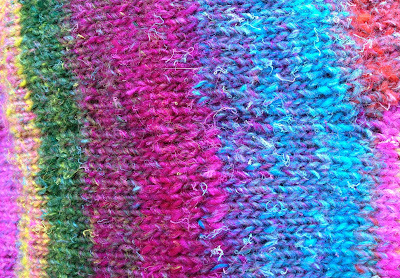 I used Knit Picks wool yarn left over from the mittens below. 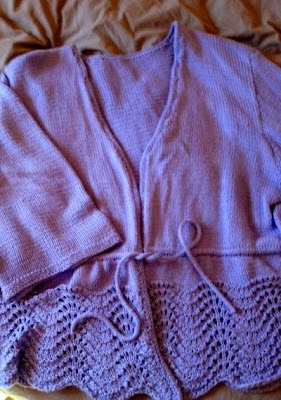 Terrible picture of my sweater, knit from Knit Picks Shine Sport Weight Yarn--a soft blend of cotton and modal (a beech wood fiber). I was in a rush to get the shot before Petey jumped in to model. 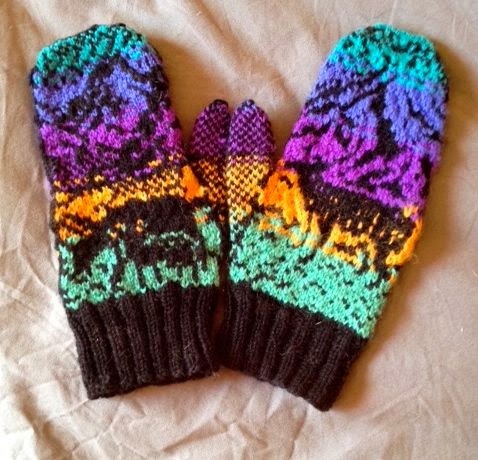 Mittens with deer; the pattern for these came with a big bag of yarn from Knit Picks, a gift from my husband. This is the second pair I've made; the first pair is shown here. I have enough mittens now and am using the rest of the yarn for projects like the lace cowl above. Back side of mittens. 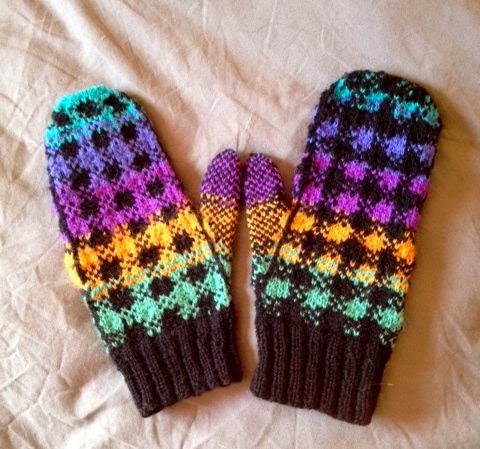 You can see I did something strange when reading the pattern--I didn't realize these were so different until looking at these photos. It was probably because there was quite a bit of time between the knitting of the first and second mittens! ...and used the yarn to make this shrug, which I like much better. 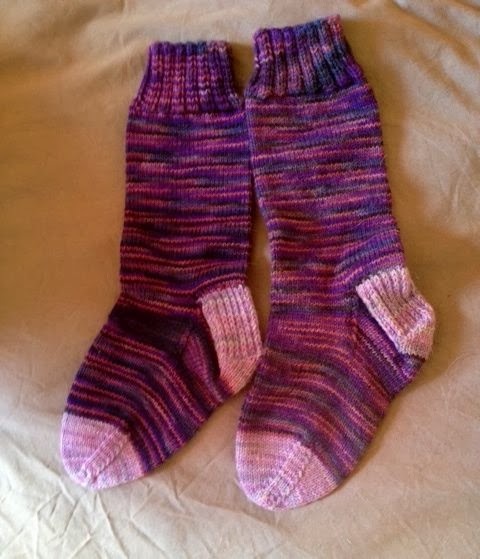 And what knitter can't use another pair of wool socks?